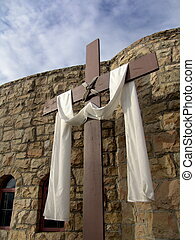 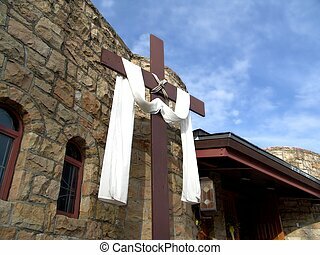 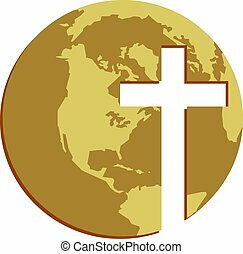 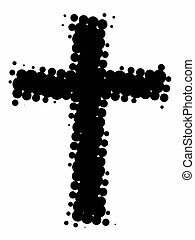 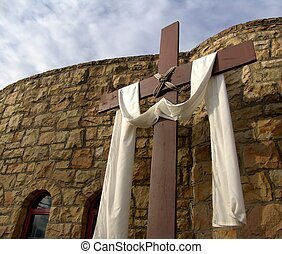 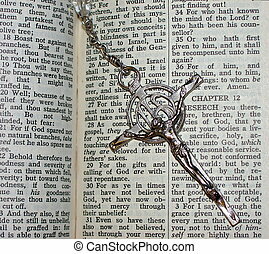 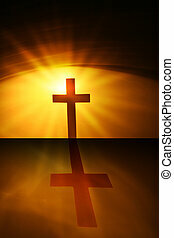 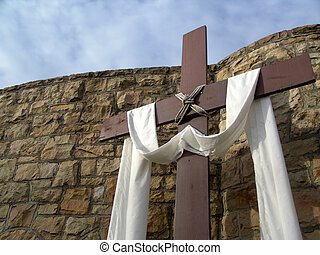 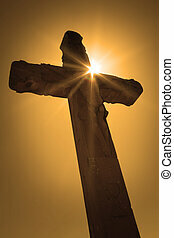 The cross. 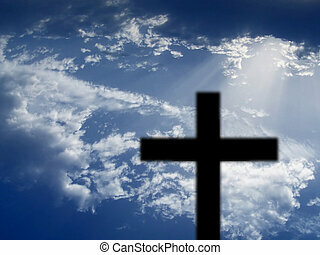 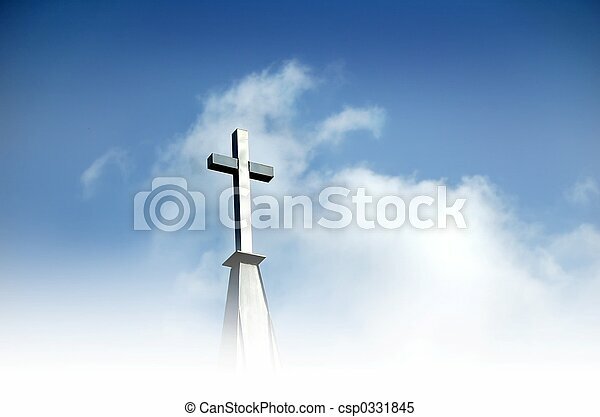 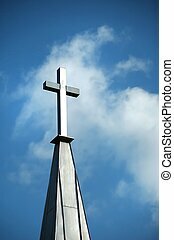 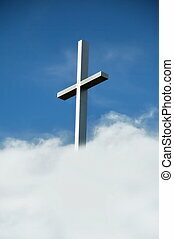 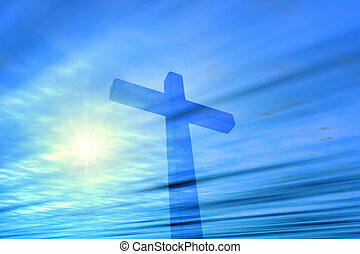 Christian cross in clouds and against blue sky. 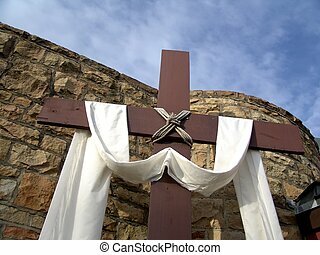 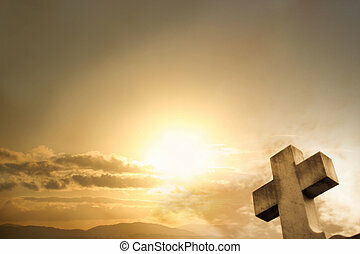 Cross in front of a grave. 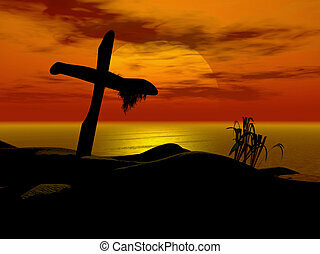 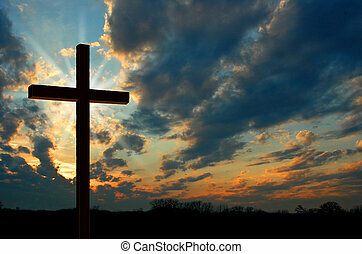 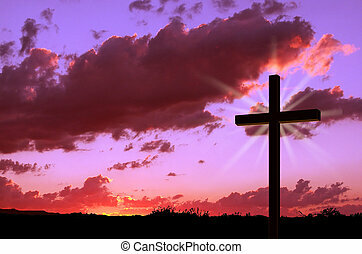 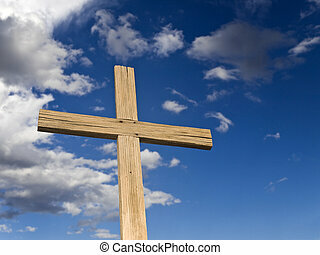 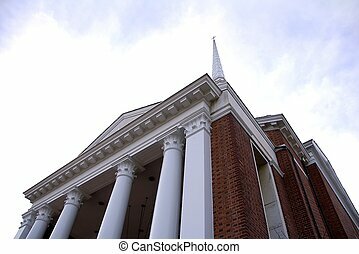 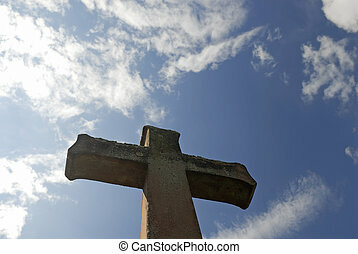 A wooden cross over a blue sky with clouds.